If caring for people with medical needs sounds rewarding, Medical Assisting could be for you. Medical assistants are multi-competent health care professionals who are involved in administrative and clinical tasks to keep the offices, clinics and laboratories of physicians running smoothly. 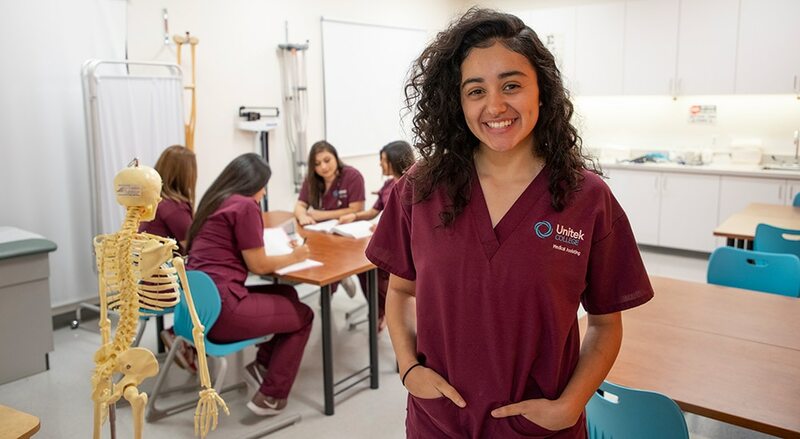 The Unitek College Medical Assisting Program provides a solid foundation for learning the skills and gaining the experience needed to excel as a Medical Assistant. The curriculum emphasizes administrative and clinical skills and includes extensive instruction in medical terminology, medical office procedures, medical and clinical procedures, basic anatomy and physiology, and special duties common in the field. The program combines in-class instruction, hands-on lab exercises, and 160 hours of supervised externship. 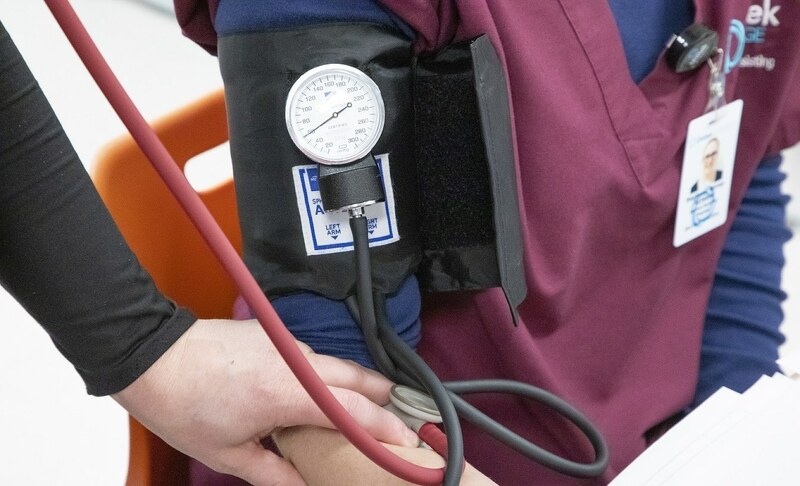 Throughout the program, Unitek’s Medical Assistant courses focus on communication, professionalism, problem solving, patient-centered teamwork, and maintaining OSHA and HIPAA guidelines. Those who are considering school to become a Medical Assistant would have a great opportunity to advance their careers at Unitek College. While considering a future as a Medical Assistant, it is important to reflect on several key questions. The following is one question that’s often asked: How long are Medical Assistant programs? If an accredited program is chosen, a student can typically conclude their training in a year or less. However, the Medical Assistant program at Unitek College can be completed in as little as 9 months. Graduates of the Unitek College Medical Assisting Program may be eligible to take various professional certification exams. These exams include the NCCT exam for the National Certified Medical Assistant (NCMA) credential and the American Medical Technologists (AMT) to earn the Registered Medical Assistant (RMA) credential. A Medical Assistant certification in California is not a graduation requirement, but may be of value depending on your career goals. Faculty are available to advise any student seeking these professional certifications. After receiving Medical Assistant training through Unitek, students will be prepared for employment in the healthcare field. Employment of medical assistants is projected to grow 29 percent from 2016 to 2026, which is much faster than the average for all occupations.1 According to the Bureau of Labor Statistics, as the baby-boomer population ages, demand for preventive medical services will increase. In response, doctors will hire more assistants for perform routine administrative and clinical duties, allowing the doctors to see more patients. What Does a Medical Assistant Do: Aspiring Medical Assistants should understand the vital role that Medical Assistants play on the healthcare team. Not only do they typically promote positive attitudes, but they also assist other healthcare professionals and act as a source of comfort for their patients. More often than not, Medical Assistants are the first and last face a patient will see during their visit. Ultimately, Medical Assistants support their patients, their colleagues, and their community. Administrative duties: Medical assistants answer telephones, schedule appointments, greet patients, update and file patient charts, order supplies, arrange for hospital admission and laboratory services, handle billing, collections, and bookkeeping. Clinical duties: Clinical duties vary according to state law and may include taking medical histories and recording vital signs, preparing patients for examination and assisting the physician during the examination. Medical assistants may also telephone prescriptions to a pharmacy, collect and prepare laboratory specimens, and sterilize medical instruments. In addition, Medical assistants are often responsible for preparing patients for x-rays, taking electrocardiograms, removing sutures and dressing changes. Medical assistants should not be confused with physician assistants who examine, diagnose, and treat patients under the direct supervision of a physician. Contact any of our campuses to learn more about how to become a Medical Assistant or to enroll in the program. Your future starts at Unitek College.